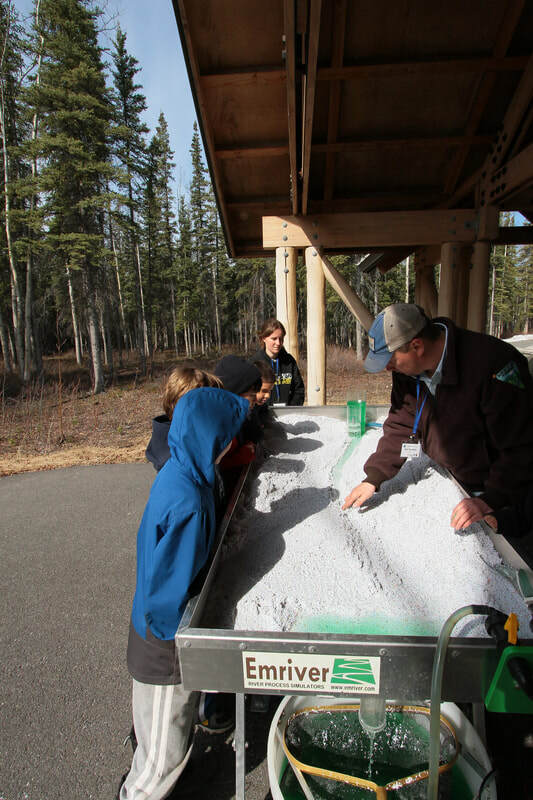 Bringing together all 4th, 5th, and 6th grade students in the Copper River Basin, Earth Discovery Day is held every year at the beginning of May. Each grade level has four learning stations. 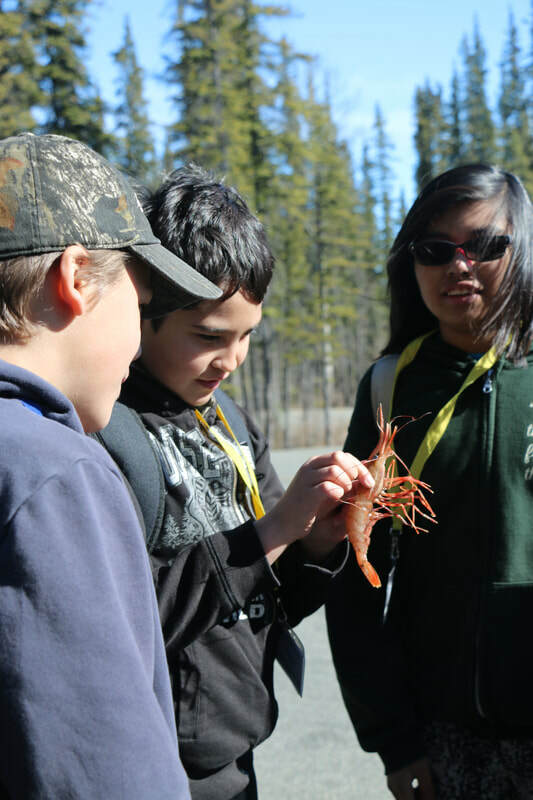 Subjects include fish identification; recycling; live bird presentations; Enviroscape; Leave No Trace; tree identification; native cultural studies; ATV safety; bird identification, and use of the atlatl. Presenters from many local agencies come together to teach the stations, and serve as role models for the students. The event is held at the Wrangell St.-Elias National Park & Preserve Visitor Center. Both Changing Seasons and Earth Discovery Day are designed to be a culminating experience for elementary life sciences. Students rotate through various stations which reinforce their knowledge of ecological principles. 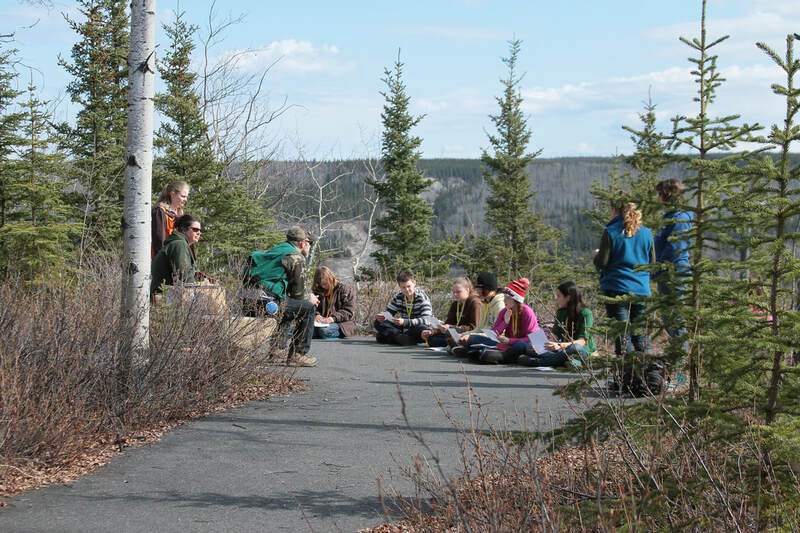 By applying their collection and analysis of scientific data as well as using observation skills, students may gain a stewardship ethic based on scientific understanding and increased awareness of the local environment.